COMPLETE – working on grading the yard now. Move in ready, new construction in close in Hanover. Welcome to The Irvington by Stephen Thomas Homes. 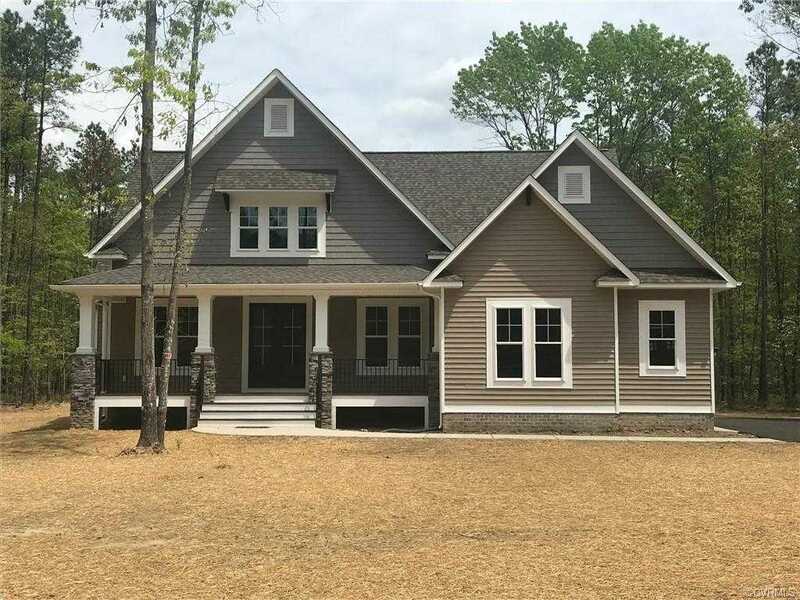 Craftsman style home w/ first floor master. Three additional bedrooms as well as a loft on the second floor. Spacious eat in kitchen that opens up to the great room. Huge master bedroom w/ two walk in closets. Hardwoods throughout the first floor, subway tile backsplash in kitchen, granite tops. 2 full baths on the second floor. Two car attached garage. Covered 32×8 front porch as well as a 16×12 patio. Home is being built on Lot 9 in the branches of stony run subdivision. A quiet, small 24 lot subdivision that encompasses over 150 acres. Approximately 120 acres have been dedicated to conservation area. Two miles of walking trails throughout. Builder offering $5,000 in closing costs with an acceptable offer by the end of the month. Please, send me more information on this property: MLS# 1823552 – $578,000 – 12585 Trammell Court, Ashland, VA 23005. I would like to schedule a showing appointment for this property: MLS# 1823552 – $578,000 – 12585 Trammell Court, Ashland, VA 23005.